What Makes a Good PVC Pipe Cutter? Home repairs that involve plumbing often requires cutting pipes. If you are a plumber, or a DIY enthusiast, you can likely attest to the fact that it is extremely difficult to cut pipes using conventional tools. Pipes are commonly made of PVC material, a synthetic plastic that’s thick and difficult to cut. Cutting PVC pipes can be difficult, and if not done correctly you can create cracks due to incorrectly cut pipes and uneven pipe components. However, you can easily avoid these mishaps; a trusty, top-quality PVC cutter is all you need. A PVC pipe cutter is a sharp and compact cutting device that can easily cut through pipes made of PVC materials. Since PVC is thick and sturdy, common tools such as a hand saw can’t easily cut through them. A PVC pipe cutter is especially designed to cut through thick PVC materials without causing undue damage to the pipes. Gaining the top spot on our Best PVC Pipe Cutter list is the Vulcan PVC Pipe Cutter Ratcheting PE-42-S. The Vulcan PVC Pipe Cutter Ratcheting PE-42-S is a heavy-duty PVC cutter that’s lightweight yet dependable. It’s the pipe cutter of choice for tasks requiring clean cuts of polyethylene and PVC pipes. This nifty tool is one of the top-selling cutters in the tool industry today. The Vulcan PE-42-S weighs in only at 15.2 ounces and has dimensions of 11 x 6 x 1 inches. Even though it’s lightweight and only about a ruler’s length in size, this handy tool packs a powerful punch. The device’s body is made from high-quality steel, and its SK5 blades are heat treated to offer perfect cuts. If you need to cut through thick plastic pipes in your shop, the PE-42-S can easily do the job for you. It can cut pipes measuring up to 1-5/8” in diameter. It boasts a built-in ratchet mechanism that ensures a clean cut by allowing the cutter’s teeth to grip the pipe securely. It also allows you to cut pipes without exerting too much effort. This pipe cutter has been well-received, not only for its remarkable cutting abilities, but for its ergonomic and sleek design. 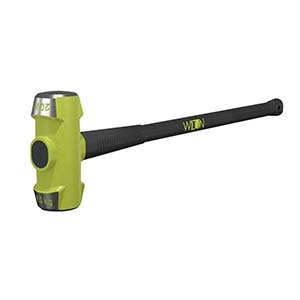 Vulcan’s PE-42-S sports a sturdy steel body and aluminum matte vinyl handles, making it durable and resistant to wear and tear that can occur from repeated use. It comes in a simple black-and-silver color combination. 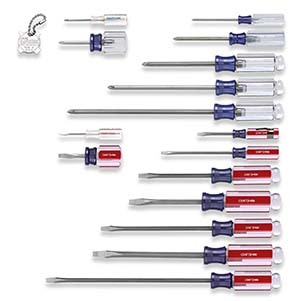 Its simplicity, ease of use and great performance makes it a favorite choice among DIY home repair junkies and professional plumbers alike. If you are a plumber or a renovation contractor, you will want the Vulcan PVC Pipe Cutter Ratcheting PE-42-S in your arsenal. Heavy-duty cutting instruments such as PVC Pipe Cutters are commonly used in plumbing, simple tube repairs, and pipe preparations. These tasks are often performed at property construction sites as well as in commercial establishments. 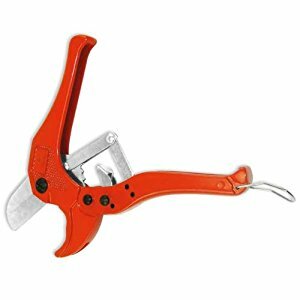 Pipe cutters should be included in the tool boxes of plumbers, maintenance workers, construction site workers, and home owners who are fond of doing their own home repairs. While PVC Pipe Cutters may cost a few extra dollars, they’re actually a good investment. You’ll end up saving money overall when you use a reliable pipe cutter for repairs as it will enable you to get the job done right the first time and avoid further damage on a repair. Good PVC pipe cutters aren’t the conventional cutting instruments that many plumbers and homeowners have in their tool kits. A good PVC pipe cutter must have specialized blades that are sharp and strong enough to cut through tough the plastic materials that many pipes are made of, such as PVC, CPVC and polyethylene, None of these can be easily cut or shaped by everyday saws and cutters. A good PVC pipe cutter’s blades must be heat-treated to enhance its sharpness and strength. Heat hardens the blade’s steel, enabling it to be sharp enough to cut, yet flexible enough to withstand force. Heat-treated blades come out tough, and have the ability to “rip off” synthetic plastic tubes without leaving scratches or make irregular cuts or create other damage to the pipes. There are times when pipes need to be repaired. Good PVC pipe cutters must be resistant to the corrosive effects that water can bring to their metal body. Therefore, the durability and resistance of the metal used in the tool should be considered. Good pipe cutters must be made from steel. Steel is a durable, strong, and long-lasting metal. When heat-treated, it makes a perfect cutting instrument that can withstand wear and tear and corrosion. 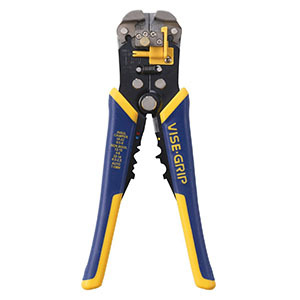 Steel-based cutters, such as Vulcan’s, are known for their durability and corrosion-resistance. An interesting characteristic of a high-quality PVC pipe cutter is its use of a ratcheting mechanism. Ratcheting-style cutters have the unique ability to grip tubes firmly and securely. The mechanism allows for straight, clean, and precise cuts every time. It also enables the user to work in fewer strokes per cut. Ratchet-type cutters like the PE-42-S increase safety because the ratchet mechanism prevents harmful, accidental, pipe slips. The minimal cutting effort and single-handed cutting ability make ratchet-type cutters excellent PVC pipe cutters. A good overall design is also a must-have in a PVC pipe cutter. Ideally, its handles should be covered in a soft material like matte vinyl which prevents undue stress and potential damage to the user’s hands. This soft-handle covering also prevents excess friction which might cause the user to accidentally drop the pipe cutter. Great cutters should be easy to manipulate so that they won’t be difficult to use. we used for information were tool blogs, magazines, surveys, and customer feedback from trusted sites like Amazon. We rounded up all the information we collected and came up with this review of the best PVC pipe cutters in the tool-making industry. The Vulcan PVC Pipe Cutter Ratcheting PE-42-S is a heavy-duty cutting tool that every plumber, contractor and/or home repair enthusiast needs in their toolbox. It can easily make precise cuts through 1-5/8” synthetic plastic pipes. This tool has sharp SK5 blades that are put through special heat treatments to ensure strength and cutting power. These heat-treated blades are guaranteed to chew and rip through thick PVC and polyethylene pipes with minimal effort. Corrosion and damage are not a problem with these blades, since the heat treatment makes them sturdy and practically rust-proof. The blades are also securely mounted onto the cutter’s main body, preventing damage to both the user and the pipes. Vulcan’s PE-42-S flaunts a strong steel body that can avoid corrosion caused by repeated use. This sturdy metal body also contributes to the strong cutting capacity of the pipe cutter. The tool may have a metal body, but it remains lightweight at only 15.2 ounces. Equipped with a unique ratchet mechanism, the PE-42-S firmly grasps the pipe to deliver a straight and clean cut every time. Users won’t have to worry about pipes slipping out of control and away from the cutter. It’s ratcheting mechanism takes the hard work out of pipe-cutting, as it requires a minimal effort from the user. 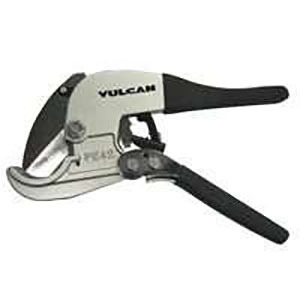 Without a doubt, Vulcan’s PE-42-S is a popular best-seller in the pipe cutter market. With its simple silver and black color, soft-to-touch-but-sturdy aluminum handles and superior cutting performance, there’s no reason for this tool to stay out of your toolbox. Dengarden.com views the Vulcan PVC Pipe Cutter Ratcheting PE-42-S as one of the best PVC pipe cutters made for professional use, stating that the PE-42-S is a heavy duty ratcheting type cutter which will make light work of any PVC pipe cutting job. 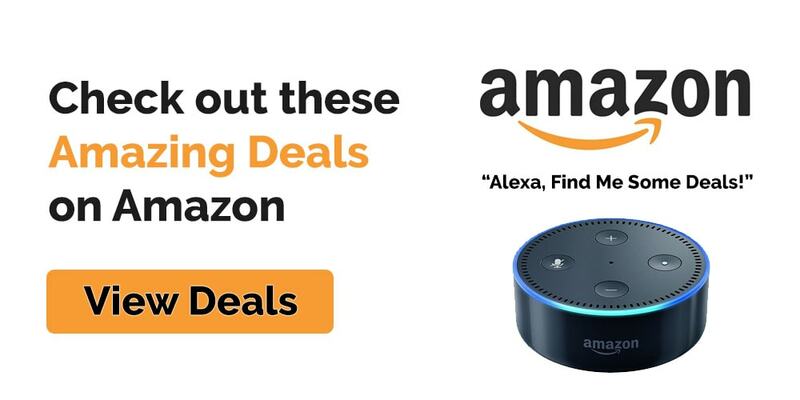 Amazon reviews have also been positive, with buyers stating that they have been satisfied with the product’s performance. One customer stated that he never knew how smooth a PVC cut could be. If you’re looking for a high-performance PVC pipe cutter for your larger pipework projects, you might like the Ridgid 30088 Large Diameter Ratcheting Plastic Pipe and Tubing Cutter. Expert plumbers will appreciate Ridgid 30088’s aluminum handles and sharp blades that are similar to the Vulcan cutter. However, a major advantage of Ridgid 30088 pipe and tubing cutter is its ability to cut larger pipes sized 2-3/8”. Plumbing and irrigation projects sometimes require pipes in this larger-size range, so the Ridgid cutter is a good choice if you’re in that line of work. The Ridgid 30088 Pipe Cutter has the same ratcheting mechanism as the Vulcan cutter. It allows large pipes to be securely grasped by the blade’s teeth. You’ll enjoy an easier cutting experience. The cut pipes will turn out clean, smooth, and ready for easy sealing and joining. Ridgid 30088’s blades are sharp and can handle tough PVC and other synthetic plastic materials. They will become dull and blunt after being repeatedly used, but they can easily be replaced through the simple latch release system feature. This pipe cutter is a bit pricey, but nonetheless, it’s a high-quality tool that comes with a free lifetime warranty. Superior Tool 37116 One Handed PVC Cutter is a great value-for-money pipe cutter that’s perfect for small home projects. 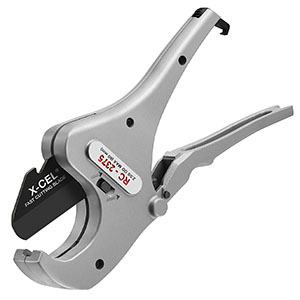 Graintex PC1799 Ratcheting PVC Pipe Cutter, 1.5/8 inch is made from light-molded aluminum and features a retractable blade and spring release mechanism. Cobra Products PST002 Ratcheting PVC Cutter is a heavy-duty tool that can seamlessly cut plastic, vinyl and rubber tubes. Ridgid 23493 Single Stroke Plastic Pipe and Tubing Cutter cuts in a single stroke and has easy-to-use spring handles. Professional JUMBO Ratcheting PVC Pipe Cutter is a large and quality tool that’s fit for plus-sized plumbing and roofing projects. Cobra PST109 Inside Pipe Cutter connects to a powerful hand drill and can quickly cut PVS and ABS pipes. ABN Ratcheting PVC Pipe Cutter is a lightweight cutter that’s perfect for every do-it-yourself home repair junkie. Tekton 6466 PVC Pipe Cutter can produce clean square cuts on PVC, CPVC, rubber hoses and other synthetic plastic tubing. Orbit Sprinkler System ½ Inch – 1 Inch PVC Pipe Cutting Tool can cut out half to 1-inch pipes with its powerful ratcheting jaws. Read the user’s manual and get acquainted with the product’s parts and their respective uses. Check the product’s parts before initial use. Ensure that there are no missing blades, screws, or bolts before using the cutter. Clean the PVC Pipe cutter daily after use. This will prevent accumulation of dust and dirt on the blades and other parts. Use materials that aren’t corrosive, such as nylon or brass, in cleaning the blade. If possible, turn off all free-flowing water when cutting water pipes. This is to minimize water exposure. Doing so may help decrease the risks of metal damage and rusting. Avoid using the PVC pipe cutter in harsh weather conditions such as heavy rainfalls or snow. Continued use of the tool during these times may result in inefficiency and possible personal injuries. The risk of corrosion of the metal parts may also increase. Also, here are some practical tips to help keep you and your workplace safe. Do not attempt to fix broken tool parts on your own. Seek the advice of the tool brand’s professional staff. Use the warranty coverage provided for your tool if appropriate. Refrain from using the cutter if it has visible signs of damage or if it has any broken or missing parts. Put on safety gear to prevent the occurrence of accidents and bodily injuries. PVC pipe cutters have sharp blades that pose a high risk of injury to their user in the case of an accident. Wear non-slip hand gloves always and use proper protective equipment as the need arises. Work in areas with adequate lighting and ventilation. Never let children near the cutter and keep it stored in a safe place. A PVC pipe cutter is an essential tool for plumbers, construction workers and DIY home repair enthusiasts. It’s especially designed to squarely and cleanly cut pipes that are made of synthetic plastics like PVCs and polyethylene. Some cutters even go the extra mile with their powerful ability to cut pipes made of other tough materials such as metals and rubber. The Vulcan PVC Pipe Cutter Ratcheting PE-42-S is our top pick for the best PVC pipe cutter on the market today. With its durable, steel body, powerful, heat-treated blades, aluminum, soft-grip handles and an ergonomic, easy-to-use design, this PVC pipe cutter will surely get the pipes cut cleanly and squarely.